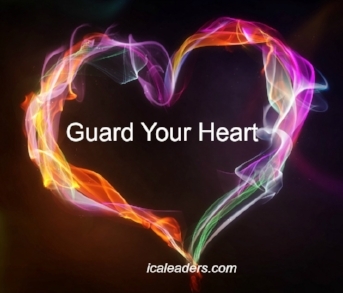 When you are at key moments or turning points in your life ........above all else guard your heart! I see so many who, at that point of promotion, at that point of contact, in the moment of battle - they miss the moment ...... Sometimes through distraction, discouragement, distress, deception, fatigue and offense. I've seen people who sat right next to me in a great move of the Spirit like Brownsville or Ashland CPT or TACF ...... Healed, delivered, baptized in the Holy Spirit, taste of the things of God ...... Drink of the river and yet ..... perish in the wilderness. What happened? They didn't guard their heart! Sometimes its disappointment. It causes us to miss the best God has for us! It causes us to miss the mark. We are in a season of great deception in America and around the world. The season that even the elect, if they can be deceived, will be deceived. These are the last days ...... the days of the great harvest ...... the great battle ..... the days of Elijah. This is the day that every prophet prophesied about. Do we really believe that we are living like we really believe what Jesus said in Matthew 24:8?